Datalink weather from the FAA’s ADS-B system is changing the way pilots fly, with subscription-free radar, METARS, TAFs, TFRs, and more. 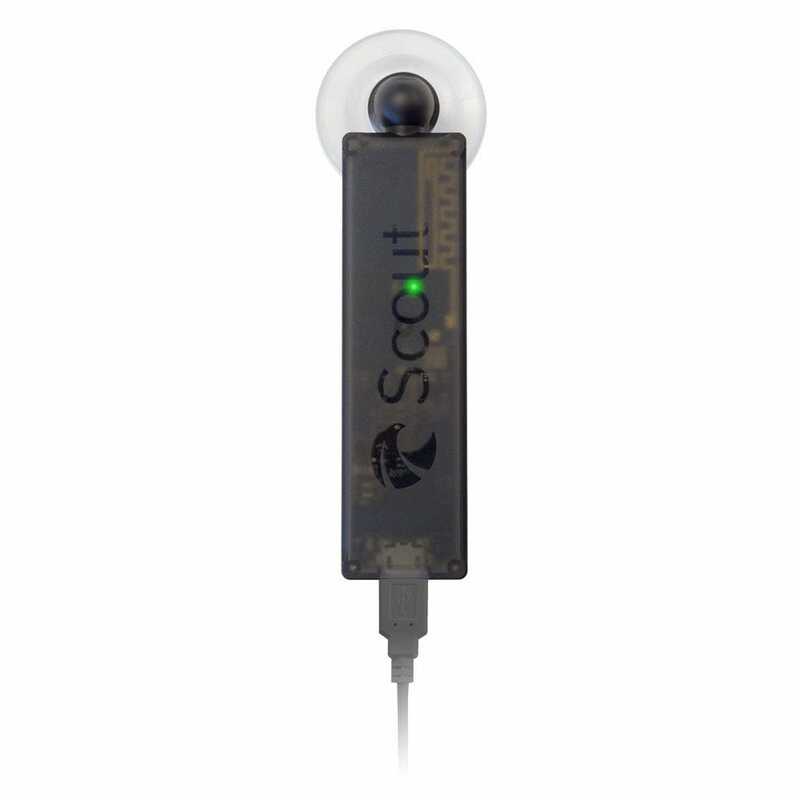 Now it’s easier than ever to add this potentially lifesaving technology to your iPad, with Scout. 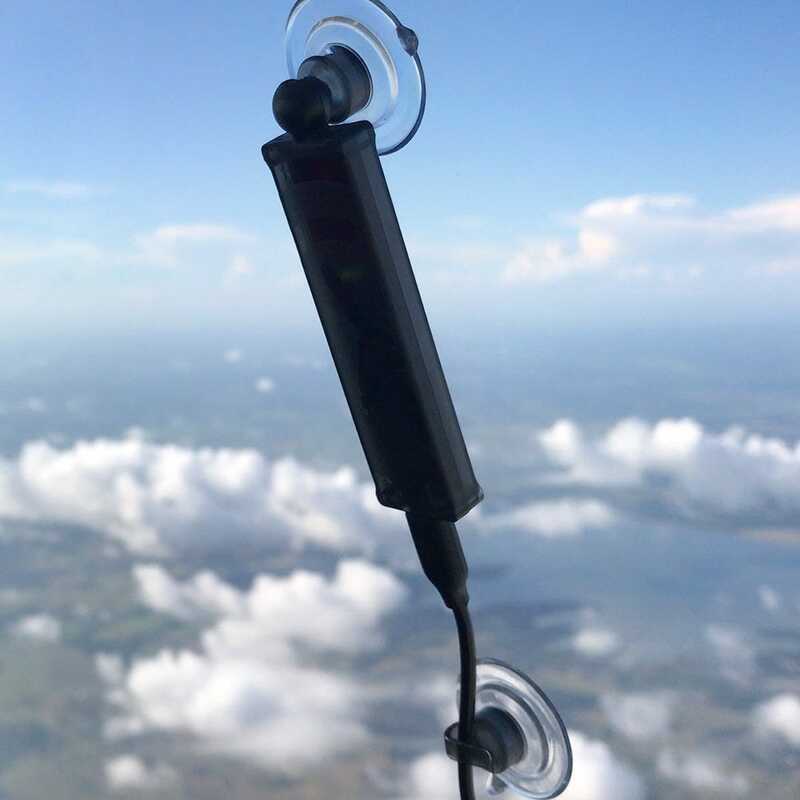 It measures less than 4” tall and weighs less than an ounce, but receives both 978 MHz and 1090 MHz frequencies and connects to ForeFlight via WiFi. At only $199, Scout is a reliable and affordable upgrade to your electronic flight bag. Includes suction cups for mounting on side window, USB power cable, and carrying case. 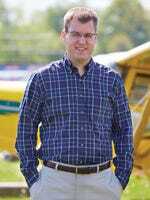 Learn more about ADS-B traffic in this blog post. Read these tips to get the most out of ADS-B traffic in ForeFlight. 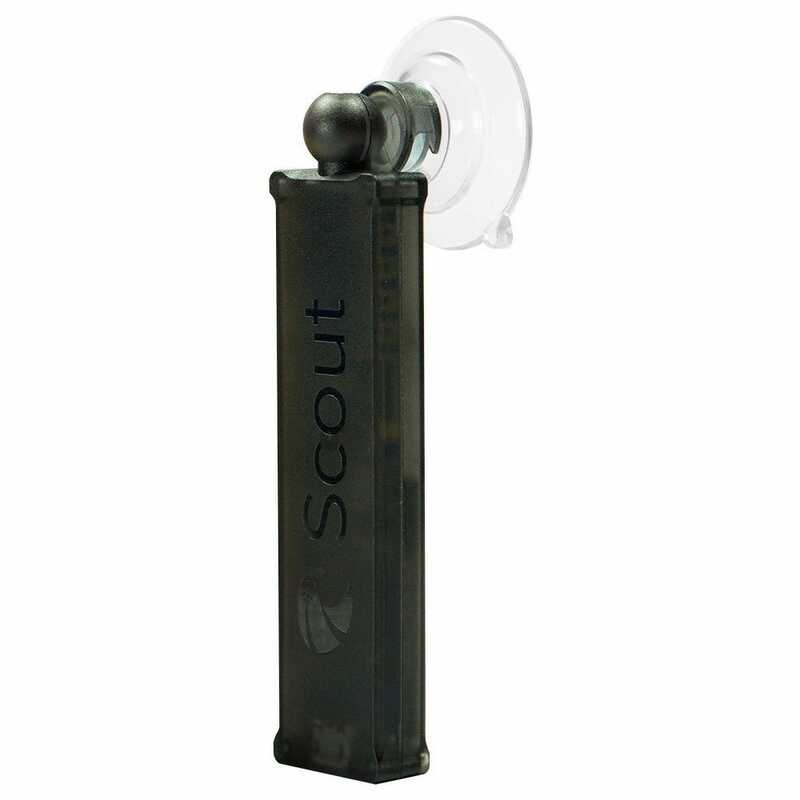 The scout has a very specific function that fills in a "niche" if you dont need a Sentry or Stratus. When it works its pretty good, not impressive range but it does start picking up towers on climbout. The jury is still out on whether to stay with the Scout or try the Sentry. The Stratus 3 is cool but cost too much IMHO. Used for one flight, 2 hours and the unit disconnected from Foreflight. Next was lights out....all of them. Just got a return tag to send back for a replacement. I will judge after I give #2 unit a run. I like the size, the price and it did a great job for the 2 hours. No real big deal...it is electronics and they are fragile. No major complaints with the Scout thus far. Sometimes it takes a restart of ForeFlight to get the thing to show traffic on the maps page but then it's usually good from that point on. Still plenty of aircraft out there lacking ADS-B so it's still eyes outside! The included "free" battery lasts 1.5 days of full flying which is pretty good but it would be nice if there was a way to secure it to the window along with the Scout. I was unable to get the Scout to connect with my iPad Air. The Scout showed up in my “Choose a Network “ queue, but when I selected it and it moved to the top field on the WiFi page it said “ Unsecured Network” in an amber color and “No Supported Devices Connected” in the “More-Devices” section of ForeFlight. I sent an email to to Customer Support at ForeFlight and received a reply that said “registration was not required to use Scout on the iPad”. This answer had nothing at all to do with the problem I was having. It took four days via email to to ForeFlight’s customer service department to get no help at all ( I’m still a big fan of ForeFlight, but their customer service is horrible. This is the second time I’ve had zero help from that department). I called Sporty’s and got to talk with a real person. He determined in ten minutes that the unit was defective and should be returned. While on a basic 100 nm in Northern CA VFR flight the Scout lost connection multiple times - I thought that the device would have been better since we were less then 7500 AGL the entire flight in a very highly congested area called Silicon Valley where we have the best internet systems on the planet !! Good little receiver for traffic and weather info, but no internal battery, no gps chip, and no ahrs really limits it’s usefulness. My advice save your money. ADS-B Weather info is not as good as the cell service radar I get. When connected to Foreflight I get Traffic info & poor weather radar or I have to disconnect it to get good weather radar. Can't disable the poor wx radar from ADS-B. Since I fly a helicopter a relatively low altitudes & in the mountains, traffic from ADS-B isn't that important but the better radar signal is. When in higher traffic areas I'll plug it back in to get the traffic info. Wish there were better directions on how to use this. This OJT (on the job training) in just about everything electronic these days is getting old especially in aviation! How long will the Scout run on the 1500ma Holiday battery pack? BEST ANSWER: I had my scout set up to the 1500ma battery in my home and had it connected to my i pad and it lasted for about 7.5 hours. it will probably vary when you actually fly with it and its recieving ADS-B information. 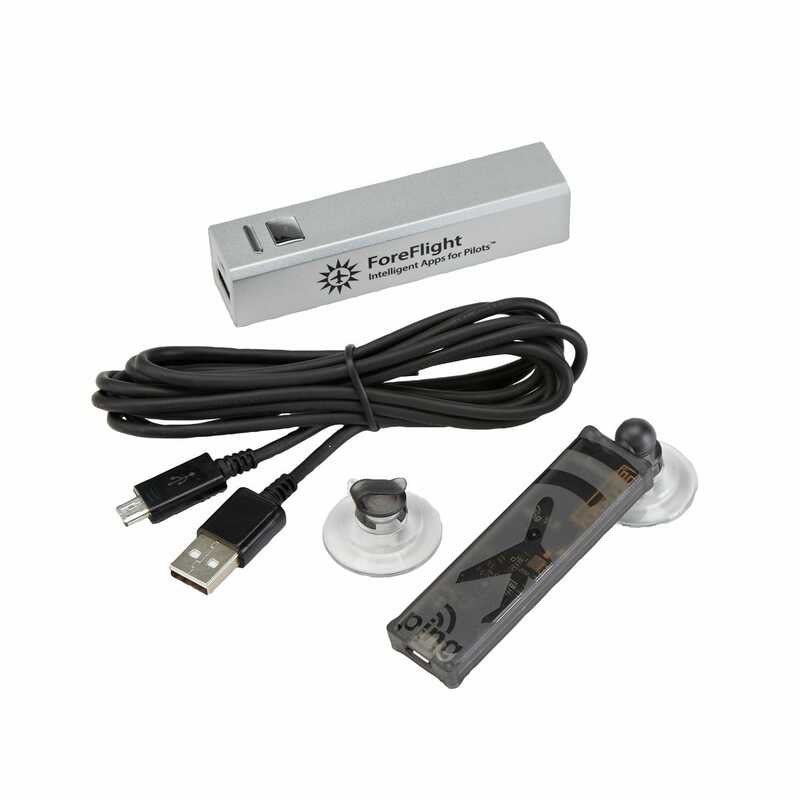 Better than battery pack, use or install a cigarette lighter and buy a USB charger. Never run out of power. Scout mounted on the windscreen picks up traffic better than shown in the video mount in the side window. What battery pack will be included in the Holiday special? BEST ANSWER: A 1500ma battery pack is included. Does Scout only work with Foreflight or will it work with other EFBs as well? Specifically Jepp FD-Pro or FlightPlan Go? BEST ANSWER: The Scout device is only compatible with ForeFlight. Does the Scout (with Limited ADS-B traffic) satisfy the 1-1-2020 requirements, or do I need to buy a Transponder with WAAS? BEST ANSWER: No it does not - this is portable ADS-B In only. For 2020 you'll need an installed ADS-B Out system, like the Stratus ESG or the Garmin GTX 335. Absolutely not. 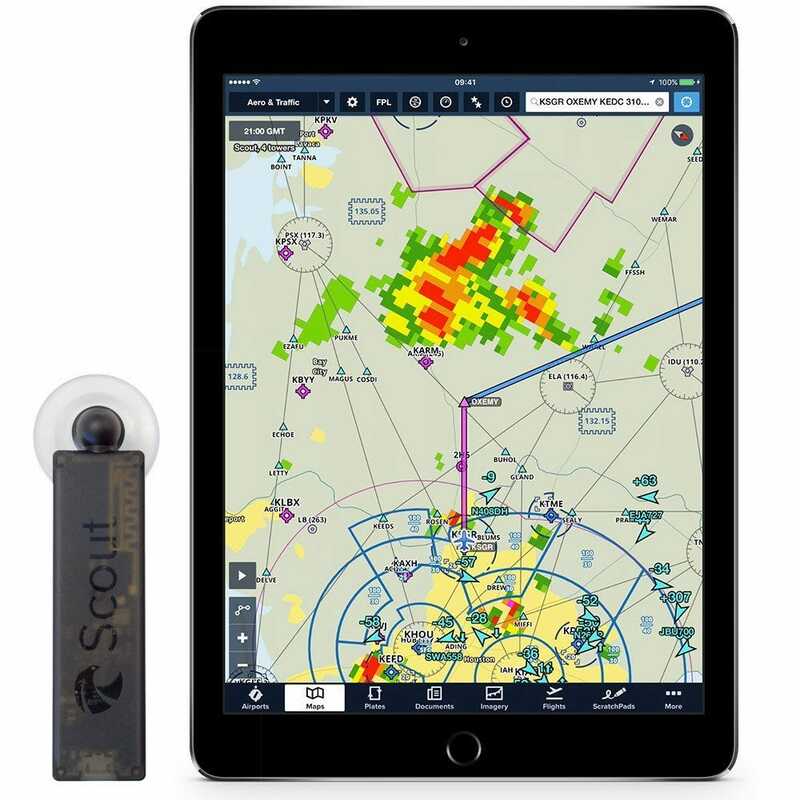 The Scout is just a receiver (an ADS-B *IN* device that will show traffic and weather on your Foreflight-equipped iOS device. To comply with the requirement that goes into effect on January 1, 2020, you need an installed ADS-B *OUT* device that works with or replaces your transponder and will cost a lot more than the Scout. What exactly does it mean when it says the scout's "ADS-B traffic will be limited unless your airplane has ADS-B Out installed in the panel"? BEST ANSWER: ADS-B traffic is limited because of how the information is requested. When equipped with ADS-B out your transponder request traffic. If you are not ADS-B out equipped then traffic is limited by who is close to you and who requested the traffic. We have videos of how ads-b traffic works please go to www.ipadpilotnews.com and search the videos. I ordered it but it says on back order. Any idea how long and why everywhere this device is "on back order"? BEST ANSWER: We expect to ship on December 11th, 2018. This date is supplied to us from the manufacturer and is subject to change. 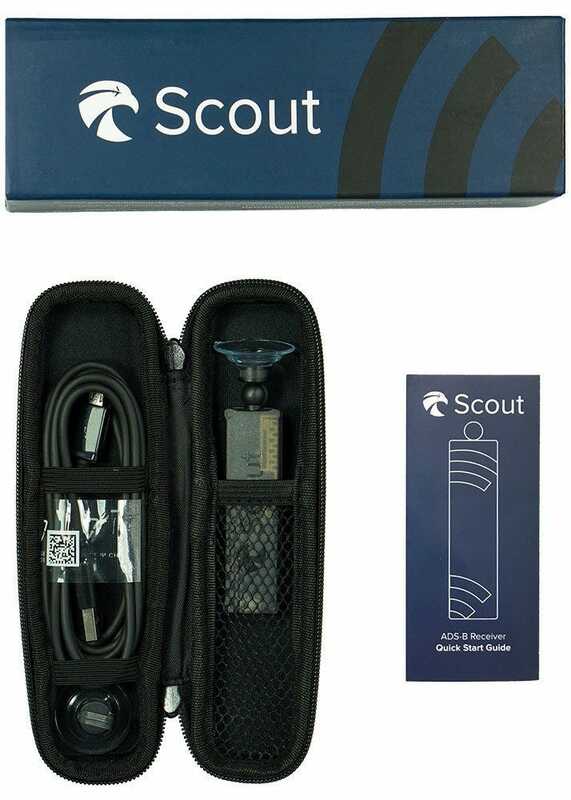 Do you ship Scout to Canada? BEST ANSWER: Yes, but this device does not work outside the US. Bought it! Wow! A true "plug and play!" but... Aircraft targets are referenced to? Relative altitude? Relative to what? I noticed "-284," "-87," "-15," etc... Not exactly sure how to interpret this. I am ADS-B "in" compliant. BEST ANSWER: The traffic is relative to your aircraft, a -15 would mean the target is 1500 below your altitude. A +15 would mean the target is 1500 above your altitude. Will the Scout work w/ ForeFlight on my iPhone? BEST ANSWER: Yes, the Scout will work on your iPhone and ForeFlight. hello this receiver works with garmin pilot? BEST ANSWER: This is not compatible with the Garmin Pilot app. Can this be used with FltPlan go app????????????? BEST ANSWER: The Scout is exclusively used for ForeFlight. Do I need a foreflight subscription to use this or will it work with the free version? BEST ANSWER: It will work with the free version until the 30-day free trial is up. Is it true that this would not have an artificial horizon on the Ipad as with the Stratus? BEST ANSWER: Correct - there is no GPS or AHRS in Scout, so there is no artificial horizon in ForeFlight. The synthetic vision display in ForeFlight will show basic terrain and obstacle information if your iPad has a GPS built in (the LTE models do). If your iPad does not have a GPS built in, you will need to add one since Scout does not provide this information. What is the website to configure Scout with Foreflight ? BEST ANSWER: The Scout does not need to be configured.